No child should have to suffer alone in desperation because their parents die of AIDS ... Let's change that. GIVE MONTHLY. CHANGE LIVES ALL YEAR LONG. Make a difference. You can help them be kids again! 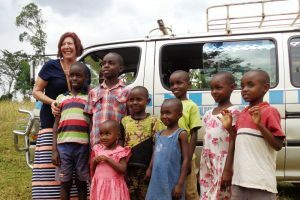 Orphan sponsorship starts when someone like you decides to make a difference and impact the life of an orphaned child in Africa who has lost their mom and dad to AIDS. Orphaned and abandoned, young Kyomugisha Evas felt scared after her father died and her mother discarded her. 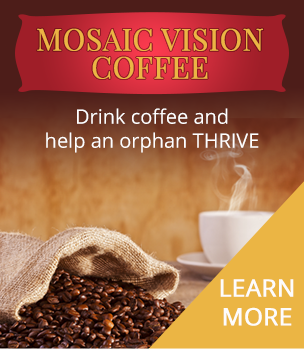 She turned to alcohol to fill the void until a friend introduced her to Mosaic Vision Ministries. There, Evas gave her life to Christ, received counseling and mentorship, and became a leader. The once vulnerable girl is now a happily married woman who serves on staff with a Guidance and Counseling degree. Born crippled, Tayebwa Dickson suffered rejection from both his parents and peers. Though he could not walk, Dickson’s family left him to fend for himself. While visiting another family, a Mosaic staff member met this young boy. 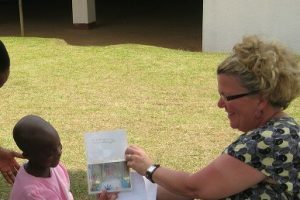 Through the Emergency Section and sponsorship, Dickson joined Kampala School of the Handicapped. He receives physical therapy and much love as he joyfully plays with his new friends. After her parents died, a stranger lured 9-year-old Akampurira Fortunate with the promise of an education and food. Sadly, Fortunate was tricked into forced hard labor in dangerous conditions prone to wild animal attacks. After two years, she escaped and met a Mosaic partner pastor. She is enrolled in the program where she has a safe home, goes to school, and receives good meals. Fortunate loves the Lord and testifies of His goodness.